Winter means different things to different regions. Rain is a fact of life in Seattle, just as tons of snow is a sure bet in Michigan and New York. Whatever wintry mix you get, it’s likely going to be hardest on your footwear. 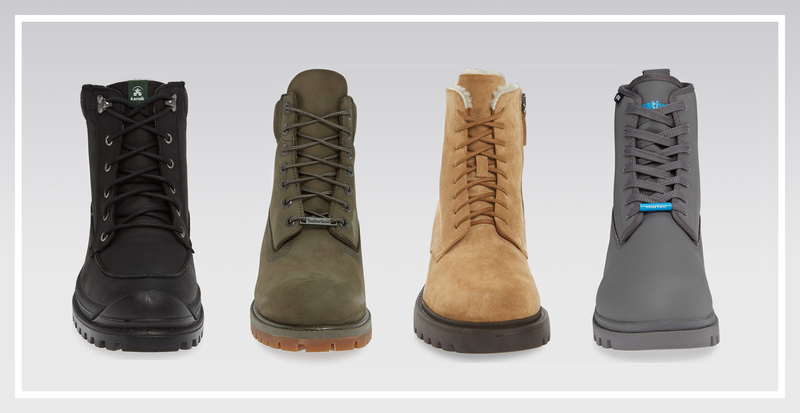 So we’re breaking it down and directing you to the boots that get the job done—and look great while doing it. 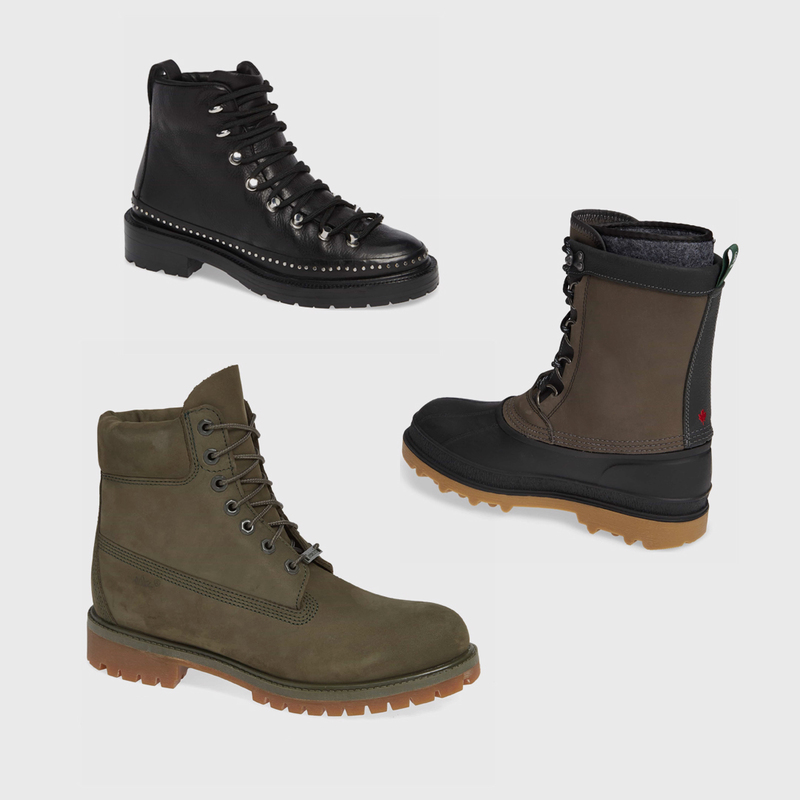 First, think about whether you’ll need waterproof or water-repellent boots. The former is essential for wetter climates, but consider the style, too. A rubber Chelsea rain boot is easy to slip on and off if you’re commuting to work or running a quick errand. Lace-up styles offer less convenience, but give great support and are ideal for a longer day. Their thick, rubber soles put some distance between you and that sidewalk puddle, and the leather is often treated so that raindrops slide right off. Worried about your feet getting hot? Some boots are created with breathable insoles. For all winter boots, warmth is necessary, so look for insulated linings. But people in snowy regions also need to think about traction. Just like treads on a tire, a rubber sole with grip will keep your feet underneath you when snow or ice covers the ground. And if you live in a land where wet, grey slush sticks around for months on end, opt for a pair with a duck boot-style rubber overlay. This is no time for athletic ankle socks. Tuck your jeans into tall knit socks before putting on your boots. It’ll ensure pant legs stay dry. If you live in a place where negative wind chills are just another day, then these sub-zero solutions are what you need. We can’t repeat it enough, go for warmth. 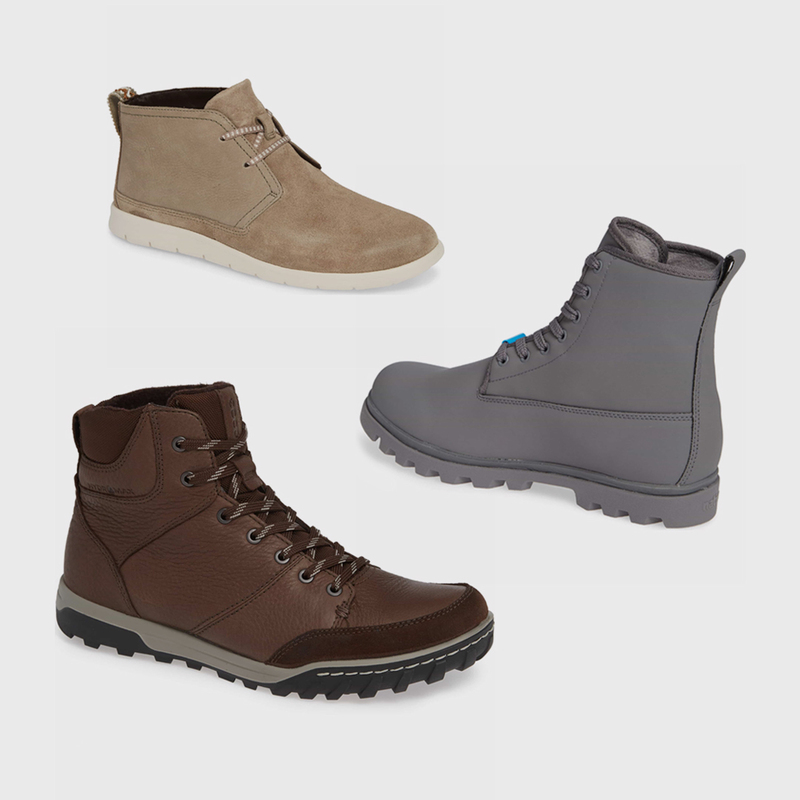 While rain boots will absolutely keep your feet dry, a proper all-weather boot will help you keep your toes. Some are made with a shearling or faux lining that’s as soft as it is toasty. (One thing to consider: Real shearling is more breathable than it’s faux counterpart.) 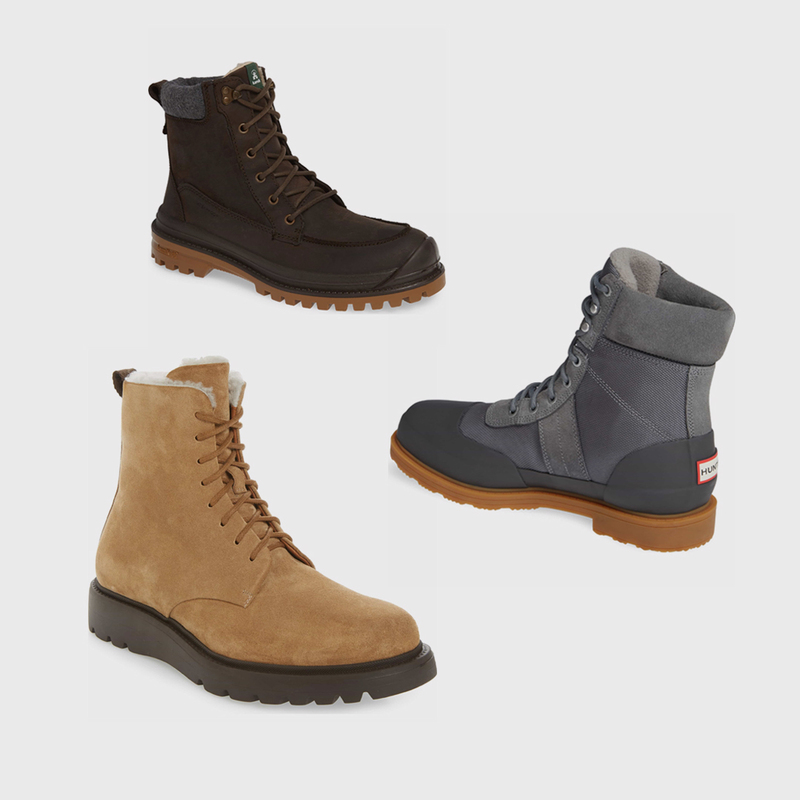 We also recommend boots with a synthetic performance insulation, designed to regulate temperature.